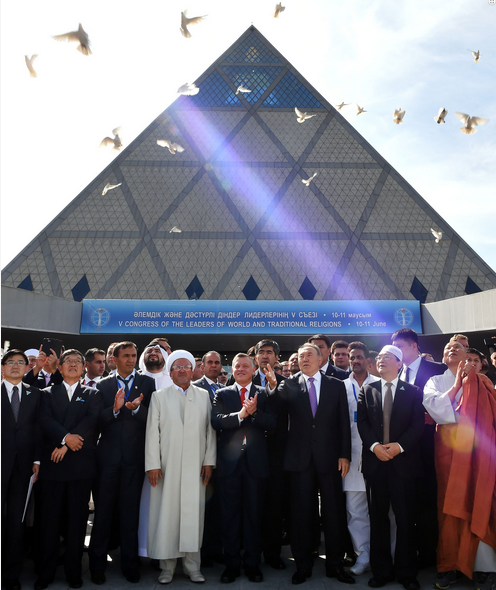 ASTANA – The fifth Congress of Leaders of World and Traditional Religions in Astana completed its work on June 11 with the adoption of a final declaration based on peace initiatives proposed by President of Kazakhstan Nursultan Nazarbayev in his opening address to the congress. 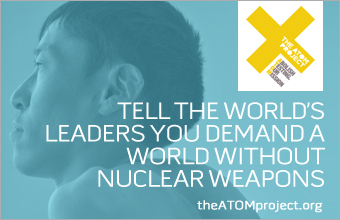 The final declaration includes calls for “political leaders of world powers to stop the growing abyss of distrust in the world today, to end mutual sanctions and to use the mechanisms of the United Nations and other international organisations to overcome the divisions and restore peace and security in accordance with international law.” The religious leaders also issued a call for “media owners and publishers to cease using their media outlets, including web-based ones, as a tool to incite religious and sectarian divisions, reminding them of their moral responsibility and to advise that they spread a culture of peace, accord and respect among religions, peoples and nations,” among other exhortations for conflicts to be ceased immediately, for dialogue to be continued and for joint efforts to counter extremism. In opening the congress, President Nazarbayev called inclusive dialogue crucial, in particular in developing a new paradigm of security and development, which he proposed. “[Dialogue] should be based on the principles of equality, mutual respect and recognition of each other’s interests, cooperation, tolerance and mutual understanding,” he said. “In the 21st century, an alternative to dialogue in all fields – political, economic, cultural, spiritual – does not exist. Today, humanity has great material, scientific, technical and intellectual capabilities. No progress will be achieved if people do not learn to live in peace and spiritual harmony with each other,” the President said. Speaking at the final press conference upon the closing of the congress on June 11, head of the Dashichoylin Monastery and Vice President of the World Federation of Buddhists Hamba Lama Choyzhilzhavyn Dambazhav called the congress a platform for building harmony among religions and civilisations, Kazakhstan’s Central Communications Service (CCS) reported. “During these two days, we have done a lot of work on discussing global issues. I believe that we, the representatives of different nations, cultures and religions, participating in the peaceful dialogue of civilisations, will become an example for the whole world,” the Buddhist leader said, according to the CCS. Kazakhstan itself was offered as an example of harmony. Kazakhstan has more than 3,000 places of worship, Nazarbayev said in his opening address, and has welcomed nearly 500 foreign missionaries. “The flock of all religions acting in the country are members of one large Kazakhstan family. We all are building a new country where there is no room for discord and strife,” he said. “The fact that we are here represents a feature which is in Kazakhstan, and I think people who come from all over the world try to copy the model of Kazakhstan’s friendship and harmony. May God grant that there will always be peace and harmony in Kazakhstan, and I think more and more countries will follow the example of Kazakhstan, to learn from it,” said Yeshaya Cohen, chief rabbi of Kazakhstan and chair of the Council of Rabbis of Europe and Asia, in his remarks carried by Kazakh TV. While participants praised the dialogue of the platforms, there were also acknowledgements that perhaps the dialogue needs to be brought from the world of religion to the world of politics in order to be effective. Head of the World Forum of Islamic Schools of Thought Ayatolla Mohsen Araki of Iran, speaking at a press briefing on June 10, said, “This conference is very beneficial to give some solutions or some ideas to solve the problem between religions, between people who follow this faith or that faith.” He also commented that the congress could, being based in a Muslim country, present an Islamic route to peace in particular. However, he noted, “the real problem is politics, it is not religious. … Politicians have to do something to solve the problems in Syria, in Iraq, in Yemen. … The most important thing is that politicians, especially the politicians in superpowers, don’t have a very strong will to solve the problem. They benefit from this problem in our region. They benefit from the clash … between different religions,” he said. Samia Bibars, head of culture and dialogue at the Civilisations Department of the League of Arab States and one of very few women speaking at the event, agreed that it would be dangerous to blame religion for conflicts that have political roots in the “Religion and Politics: New Trends and Perspectives” panel. The balance between freedom of speech and religious sensitivities was also discussed in one panel session. Following the session, Pavel, patriarchal exarch of Belarus, commented that “you can’t close the Internet, you can’t put up prohibitions [to speech].” Instead, he said, the focus must be on raising children with the religious and moral knowledge and tools to discern right from wrong. He also opined that the emancipation of women, taking them out of homes and into the workplace, was also a factor contributing to the spread of extremism and religious misunderstanding meaning that women do not spend as much time raising children in the proper way. President Nazarbayev called for mass media and the Internet to no longer be used as mouthpieces for hatred in his address to the congress. “We have to increase the moral responsibility of owners of the mass media and all those who call themselves the fourth power,” he said. The congress was strong on prevention, with many condemnations of violence, including President Nazarbayev calling attempts to use Islam to justify violence “blasphemous.” Chairman of the Spiritual Administration of the Muslims of Russia Mufti Ravil Gainutdin said young people should be prevented from being seduced by terrorism. “[Young people] should be educated in a spirit of tolerance and respect among religions and peoples. Unfortunately, young people read an article or a book and think … they can argue with a clergyman. We should understand that our people need to be religiously educated and our religious leaders must do this. Religious leaders must not take weapons and go to the mountains to fight terrorism. Our weapon is the holy book,” he said at his own press briefing. When asked about rehabilitation of terrorists, however, he said that it was national, secular agencies that bore the responsibility for rehabilitating terrorist recruits. With an emphasis on peace and prevention, it could be wondered whether this dialogue might actually reach those people at the heart of the conflict and controversy religion can be brought into. However, the congress was not without situations which went to the heart of questions about the impact of such gatherings. One panel included Salman Al-Huasaini Al-Nawdi, president of the Jamiat Al-Shabab Al-Islam, as well as Catholic and Church of England representatives. In the past, Salman Al-Huasaini Al-Nawdi was criticised for calling Abu Bakr al-Baghdadi, leader of ISIS, “a rock” upon which the Muslim community should build. His organisation also asserts that “[t]he flag-bearers of disbelief: Jews, Christians and polytheists, concentrated all their efforts to detract the Muslim youth from main stream of Islam” on their website. “The world’s religious leaders must teach their followers the true meaning of reconciliation, understanding and mutual respect. Religious leaders have an obligation to speak out when so-called adherents of their faith commit crimes in its name,” UN Secretary-General Ban Ki-moon said in his address to the congress.